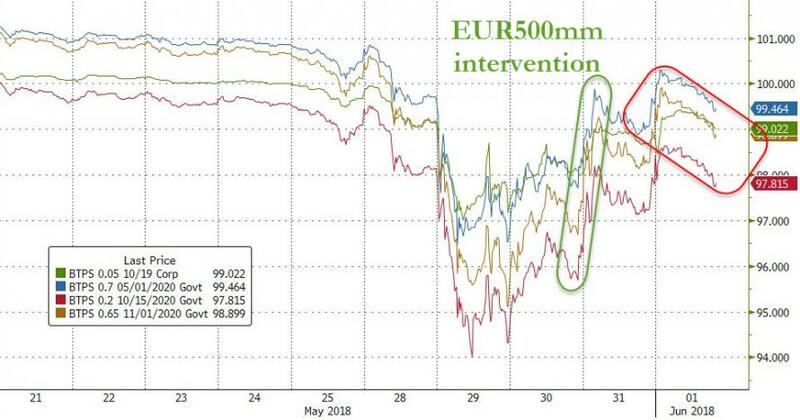 We noted that Italian yields had started to fade wider earlier, but 2Y BTPs are now 50bps higher than the open after headlines that EU lawmakers from the two parties forming Italy’s new government coalition voted this week to set up EU funds to help countries quit the euro. 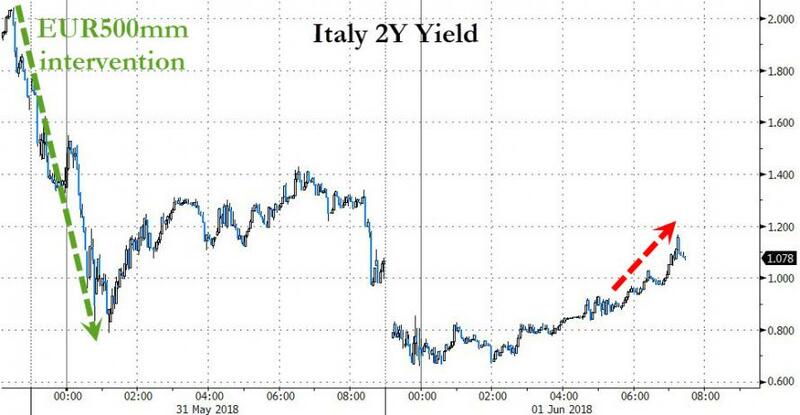 Reuters reports that the vote came as the anti-establishment 5-Star Movement and far-right League were finalizing a deal to form an executive in Rome, under pledges that leaving the euro was not in their government program. The document was an amendment to a European Parliament resolution on the EU budget for the 2021-2027 period. The proposal was backed by 90 lawmakers, but was rejected by a majority of the 750 MEPs.